Nairobi’s longest running performance poetry platform, Kwani? Open Mic commemorates its 8th year with a switch to new venue, Phoenix Players. A beloved fixture on Nairobi’s arts and culture circuit, this spot shall provide a relaxed and intimate setting where words will take centre stage. The inaugural event slated for March 3rd has slam champions Teardrops and Wanjiku Mwaurah blessing the mic as the night’s featured poets with H_Art the Band providing musical delight. Look out for performances by special guests and old friends of Kwani? Open Mic. Entry: Advance 200*, Gate 300. *Advance tickets are only available via Mpesa: Simply select “Buy Goods” on your MPesa menu, enter the “Till Number” (56714) and follow instructions to complete transaction. This fast rising sheng Spoken Word poet has performed at over a hundred venues across the country. Teardrops is passionate about social issues and change and recently released a spoken word album. Besides art, he is an entrepreneur and electrical engineer. A natural performer and talented scriptwriter, the Flow of My Soul author, Wanjiku Mwaurah goes beyond poetry and has been involved in awareness campaigns for the cerebral palsy condition (art4acause) while playing mentor for many upcoming artists in the field. Made up of Mordecai Kimeu, Kenneth Muya and Wachira Gatama, H-Art the Band has created a language best understood not by the mind but by the heart. Blending smooth vocals with poetry, freestyle rap and dance, the trio is making waves in the local music scene. my friend is super talented and i want him to break out of his shell. how can he get to be among the performing artists? how may i join your group as a fellow spoken word artist? 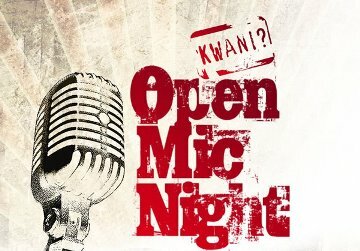 Follow Kwani trust on twitter and facebook as well as the Kenyan Poets Lounge for updates on their events.